Strike King KVD 6.5" Finesse Worm Soft Bait - Watermelon Red Flake. A super soft, salty soft bait loaded with coffee scent, which masks human scents and oils. 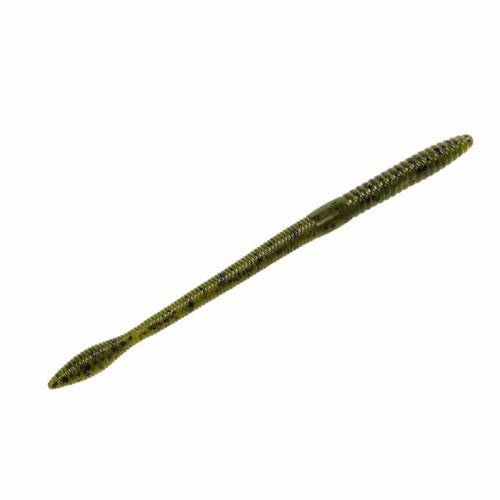 This soft bait delivers tremendous action thanks to a unique beveled tail design. Designed with the help of Kevin VanDam to be an excellent choice on a shaky drop, drop shot or even rigged in multiple ways. Assorted colors available. 12 per pack.